This project, which was completed for my authoring interactive media class, involved writing new CSS for an already structured HTML page, to explore the vast styling possibilities of CSS and the importance of the separation of structure and style. 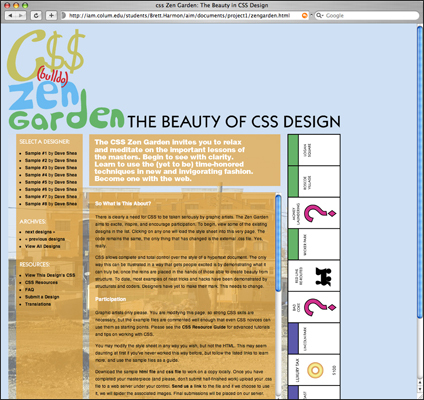 In addition, we were to choose a "social message or theme" which our redesign was to communicate. My theme was the unchecked real estate market and house flipping going on in Chicago at the time.